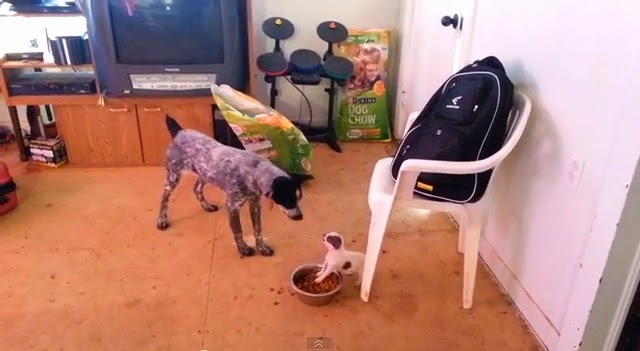 Sadie, a tiny puppy wants to keep the food in a bowl all to himself. So when Foxey who is a grown dog and nearly six times Sadie's size wants to eat from the same bowl, Sadie does what she does best. And that is bravely fend off the much larger dog.